Go for the Golden Roshan! 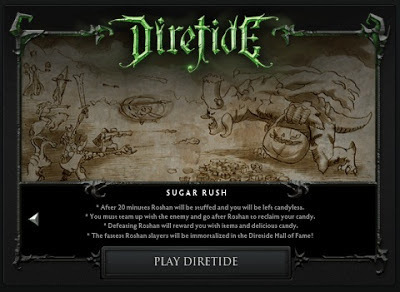 Play Diretide this Halloween season and get lots of Dota 2 loot! If your team can set the record for the fastest Roshan kill for the day, everyone playing in that match will get a Limited Edition Golden Roshan courier and their names will be immortalized in the Sugar Rush Hall of Fame. So team up with your friends and go for the GOLDEN ROSHAN! 1) My friends do not have an invite yet. A new wave of invites have been sent. Check your Steam inventory to see if you received extra copies of Dota 2. If you did, send them to your friend's Steam account. 2) I don't have any friends to team up with. 3) I don't know anyone who has an extra Dota 2 invite. Can I get 1 for myself? 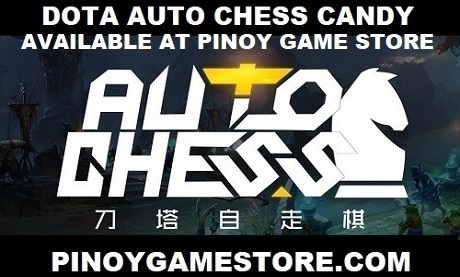 You can easily get one for yourself via the Dota 2 Philippines fan page. Step 1 - Share and like this picture found on the Dota 2 Philippines Facebook page. The sign should be an actual sign - not digitally added. Warning: You must do Step 2 before proceeding with this step to avoid being disqualified. Step 3 - Send us a Facebook message with "(Your 1st name) - Dota 2 Philippines Invite"
Step 4: Wait for the Dota 2 Invite to be sent to your Facebook inbox and activate the key.